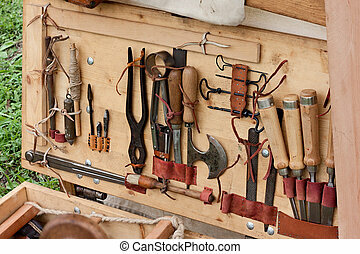 Carpentry tools old woo. 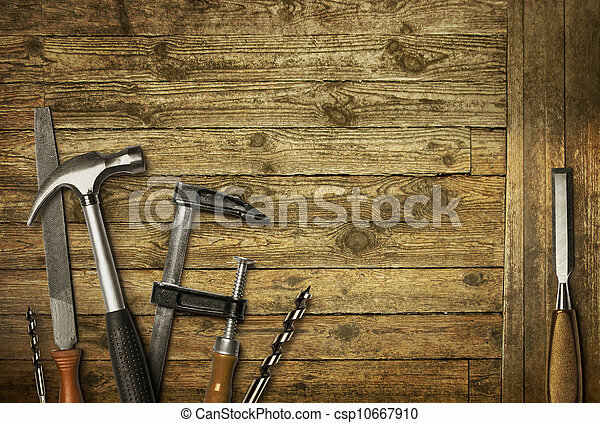 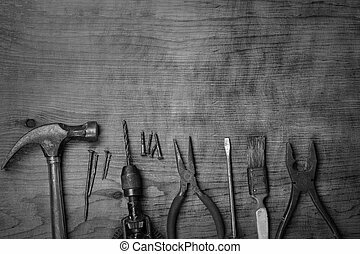 Carpentry hand tools set on old wooden background. 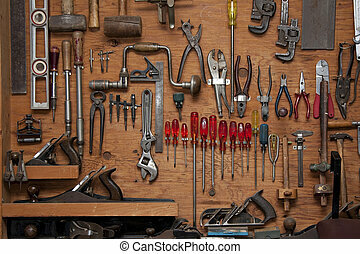 Busy hobby workbench. 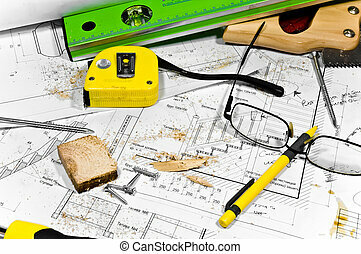 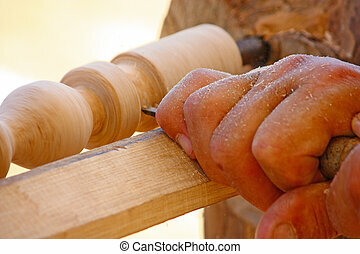 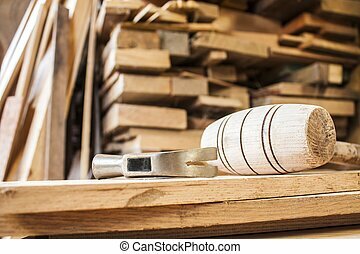 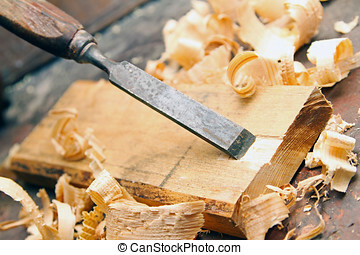 Different carpenter tools: saw, hummer, tape measure, level ruler, screwdriver are lying in the saw dust upon the blueprints and drawings along with screws, pencil and glasses.